Every occasion should be a special one! No matter the event, a custom-designed cake always adds that special something. Weddings, birthdays, baby showers, an anniversary... for ANY event, large or small, let me help you celebrate with a delicious and beautifully-designed and decorated cake! Please take a look through my Cake Photo Gallery to see some of the work I've done recently. 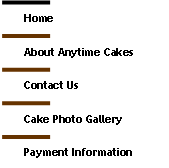 Anytime Cakes! 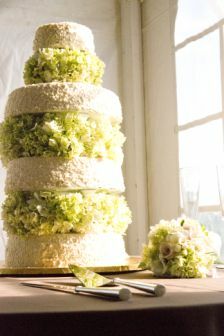 Any cake, any style, any time! !